HARRISBURG, PA (WSKG) – Seven Pennsylvania casinos have sued the state over its new online lottery games. They’re arguing the games violate state law because they’re too similar to online casino games. 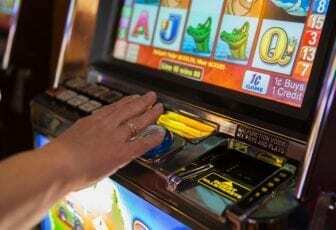 The lawsuit didn’t come as a surprise–the casinos have been threatening to sue ever since the Department of Revenue unveiled its iLottery plans several months ago. David la Torre, a spokesman working for the casinos, argued casino-style games are legally limited to casinos, and the Lottery’s are too similar. Plus, he noted, they don’t have the same restrictions. “Underage gaming comes with very expensive fines–yet the lottery is out there providing these games to people under the age of 21 with little or no oversight,” he said. He also said there’s money at stake. A spokesman for the Lottery said it’s reviewing the casinos’ legal argument.